When you visit a doctor or medical professional, you expect to be treated with a certain standard of care; the last thing you expect is to be injured by them. However, medical malpractice has become a serious issue in America, accounting for over 250,000 deaths each year. Unfortunately though, because a medical malpractice case relies heavily on proving that the medical professional failed to meet a certain standard of care, it can be difficult for a plaintiff to recover damages. At The Pendas Law Firm, our medical malpractice attorneys use their knowledge of the law and their extensive experience to help victims of malpractice pursue damages for their injuries. If you believe that you were the victim of malpractice, reach out to our Miami medical malpractice law firm for aggressive legal representation right away. In order to recover compensation in a medical malpractice case the plaintiff is required to prove that the medical professional was negligent is his or her care of them. Unfortunately, this is difficult to do, as what is an accepted standard of care varies by circumstance. Not only is extensive documentation (medical records) necessary to prove where and how malpractice occurred, but also, each party must hire physicians to act as expert witnesses on their behalf. The expert’s job is to share with the judge and jury how they would have acted in similar circumstances, and testify as to whether or not the defendant was, in fact, negligent. Proving that the medical professional was negligent is not enough to warrant compensation, however. In order to recover damages, you must prove that the physician or other medical entity’s actions caused you actual harm. This can be in the form of physical and immediate injuries, or it can be in the form of records that clearly show that your condition worsened, or that you suffered additional medical issues, due to the actions or inactions of the practicing doctor. Again, expert testimony will be required to explain how your injuries were a result of the doctor’s negligence. Finally, you must present proof that actual damages were sustained. Proof can be in the form of medical records that prove deteriorated health, lost wages, and additional medical costs. If successful in your claim, you stand to receive compensation for all of your damages, including any pain and suffering that the malpractice caused. 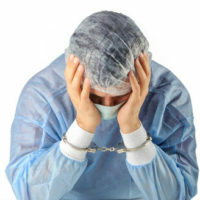 If you are the victim of medical malpractice, you deserve to be compensated for your injuries. Additionally, you deserve to seek justice for the wrong done to you and for your trust betrayed. The Miami medical malpractice lawyers at The Pendas Law Firm understand what is necessary to win a medical malpractice case and will aggressively advocate on your behalf to ensure a positive outcome. For a free case evaluation, call 1-888-LPENDAS right away. The Pendas Law Firm also represents clients in the Jacksonville, Orlando, West Palm Beach, Fort Myers, Fort Lauderdale, Daytona, Bradenton, and Tampa areas.